Perhaps it is safe to say to everyone that New Year is about getting a new start in life. It’s about making changes happen and to make room for improvements in whatever you do as a person. This is where the cringe-worthy tradition of making a list of resolutions enters. As for all you golfers out there, apparently, this list applies for you as well… Pros, amateurs and enthusiasts alike! Whether on and off the course; your awkward swing or the way you dress yourself as a golfer, there’s always a room left for improvement. Being the golf aficionados that we always are, we made our own golf resolutions that may come in handy in the near future for most golfers. Although this resolution tackles more improvement outside the fairway rather than focusing on your swing, this few pointers will benefit you not only as a player, but also as a full-fledged golf lover. 1. Stop taking your own golf gears for granted – A good golf set is not cheap, and a cheap golf set is never good! That’s why this year, try to give extra effort in taking care of your clubs. That means your drivers, wedges, putters, practically the entire golf set. Keep it in its mint condition at all times by making sure to clean once every after a few rounds. Also, assign a dedicated closet for your golf stuff for proper storage. It would also be nice to get a set of club headcovers to your set for added protection. 2. Make sure to keep your golf cart in good running condition – Most golfers nowadays couldn’t stand the exhausting terrains of a course. Thank god for golf carts, no need for you to endure the long walks. But then, just like us, humans, golf carts get tired also. And with flagrant disregard for maintenance, don’t get surprised if you encounter some cart trouble in the midst of your game. Time to bring the “if it’s not broken, don’t fix it” mentality. Make sure your cart is always in good condition. Keep it clean and tuned. 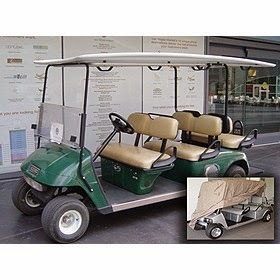 Giving it a shade in the form of a sturdy and reliable golf cart cover is a plus, of course! 3. Treat your caddy as more of a partner rather than just the person bringing your set – Caddies are more than just golf club carriers. They know about golf courses more (and by heart) than we do. Treat them as your partner… As your teammate! However, this doesn’t say that entrust the entire game into your caddy’s hands, but rather more of considering his/her insights, advices and judgments when it comes to “reading” obstacles within the green. 5. Enjoy and savor the game – Lastly, learn to love the game even more. Without dedication, all your efforts will only go to waste, so give your 100% to every game. However, don’t take the game too seriously. We all know how discipline plays a big role in golf, but a part of you should make it a point to remind yourself that it’s only a game, and games are supposed to be fun! How about you, have you done your list of golf resolutions yet? If yes, then feel free to share some by leaving a comment below! Happy New Year, everyone! 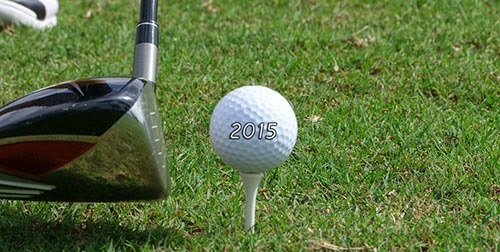 Wishing you a sweet hole-in-one this 2015, and more to come! 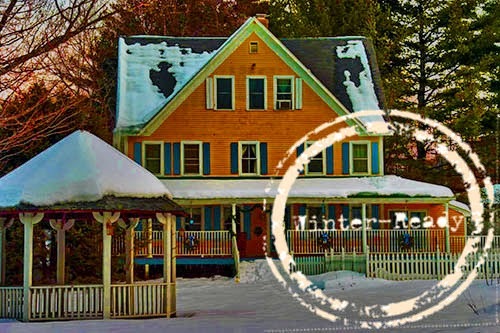 Holidays may be over, but winter season is just warming up! (Ironic, isn’t it?) That means expect colder days in the next couple of months. 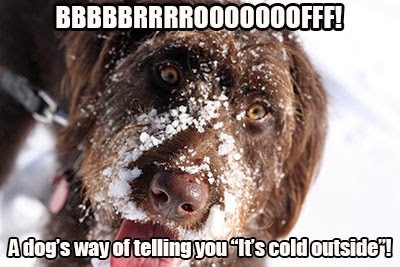 As for your pet dogs, it pretty much says that they need to stay indoors for most of the time being. But just because they’re staying inside the house for quite some time, it doesn’t mean they’re off to slack the entire season by curling up on their pet throw and forget about staying fit. Because just like us, humans, dogs need to limber up as well! Yes, you can still give him/her a quick run outside the street (mostly for morning walks and for doing their usual “business”). Other than that, it is not advisable to keep them exposed in the cool breeze of winter for too long. To keep your dogs in the zone this winter season, here are some simple indoor activities to enjoy with your pooch! Indoor Fetch – Now, who said “fetch” can only be played outside? Evidently, fetch can also be fun when played indoors, especially during the coldest month of the season. You don’t really need to have a large space for your furry K-9s to enjoy the game. All it takes is a relatively long hallway and a tennis ball to flex their legs. Or perhaps, move a few tables and chairs by the living area for a more spacious indoor ball game. Stair Exercise – More rigorous cardio workout to develop your dog’s legs and stamina? Go for the stair exercise. Warm up your pup by walking him/her up and down from your stairs. Pace the level up a notch by walking a bit faster, then jog. Indoor Tag – Your dog wants to go running? Indulge your pooch for a game of tag by sprinting all over the house. As a variation, you may put some obstacles within the way (chairs, pillows, throw pillow) to make it a bit more challenging. That way, you also get to work out on his/her navigation skills and vision. Treadmill Exercise – If you think you don’t have enough space to accommodate a full run for your dog, and you happen to have a home gym, why not let your pooch do a few minutes of treadmill rounds? Heck, might as well join him and pull off a couple presses. Doga – This pet exercise seems to be getting a lot of attention from both humans and pets, because apparently, yoga can also be enjoyed by your fido. This can be a great way to stretch out your pooch’s muscles and loins, as well as to de-stress them. Also, this is one of the perfect way to utilize your pet seat cover other than a den of slack for your mutts. Got more indoor activities on how to keep your dogs busy and fit during the winter? Feel free to leave a comment and hit us up with some ideas! Already feeling the cool breeze of December? That means Christmastime is just around the corner. And if you’re still fretting about what’s the best gift to hand over this Yuletide season for everyone, Formosa Covers will “cover” all your holiday gift needs, because that’s what we do best! And to specify, we give you some items that we thought would be the perfect gift for each family member! Ready to gift wrappers, ribbon, scissors and adhesives! Car aficionado? Or perhaps, golf enthusiast? Maybe, watersports guru? Whatever the case may be, dad can surely use a reliable vehicle cover to protect and maintain some of his leisure investments, such as sports car, golf cart, bike, ATV or snowmobile. He’ll thank your for it! 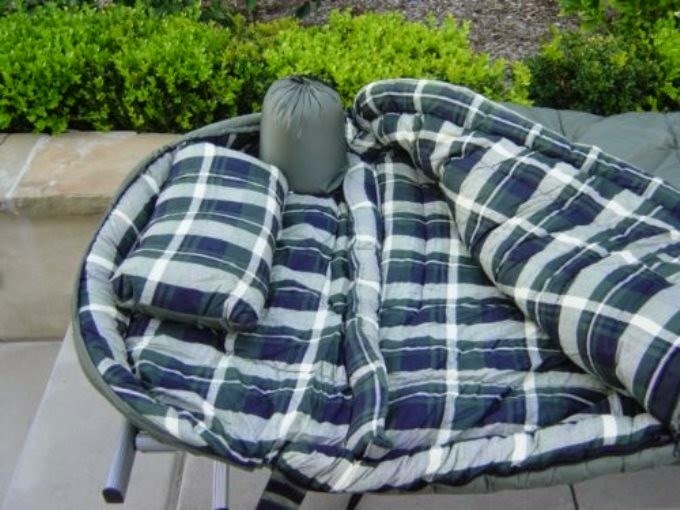 Because mommy likes to chill out and relax by the patio after a long day of garden sprucing and patio decorating, a brand new patio umbrella will be the perfect gift for her, so that she can easily lounge to a laid back afternoon with matching pitcher of lemonade and a garden music on the side! Aww, your ever busy sister, always fumbling her precious smartphone. Thank heavens for these smartphone protective cases, your sister doesn’t have to worry about another dent on her phone! 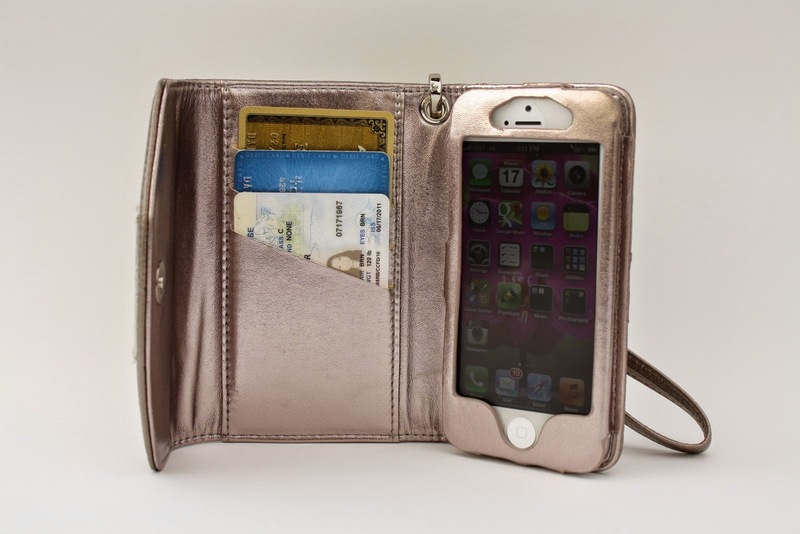 And did we mention how neutral yet stylish and sleek these cases are? This is going to complement your sister’s everyday fashion statement. Since your brother likes to go out camping, hiking, or the occasional sleep over with friends’ cabin, why not give him the gift of comfort in the form of sleeping bag? This snuggly present the ideal present if you have a sleepyhead sibling in the house as well. And because you don’t want your pets to feel left out this Christmas, we’ve got something in-store for your furry house fixture as well. Since winter season is slowly breezing its way through, let your pet feel the warmth by giving him a nice, comfy pet throw. We told you, we’ve got everything you need to complete your Christmas presents. Now, you can pretty much enjoy the rest of the holidays! Winter Wonder-ride: Is Your Car Winter-Ready? Cars in general are there to provide convenience in getting us from point A to point B. However, it seems that it’s not merely the case during winter season. And for some, this convenience can easily turn into sheer disaster, as their cars usually experience the worst case of winter-related car breakdowns. This includes checking the oil’s viscosity and condition. If the oil’s color has gone from bright amber (red, orange or green for some) to dark brown/black, that’s your indication that you should drain your motor oil. In addition, as part of the tune up, inspect the spark plugs, timing belts, braking system, and tubes. If you see leaks and other damages, it is highly recommended to call a mechanic for immediate repair. In most cases of engine breakdowns are radiator-related causes. This is either due to overheating or too cold to function. This is where antifreeze comes in handy. Antifreeze or radiator coolant serves as your engine’s thermostat. It keeps the water to stay fluid from your radiator during cold season, while maintaining its “cool” when operating at high temperatures during summer. To ensure efficiency, make sure to mix 50% of antifreeze and the other 50% is clean distilled water. Winter season is notorious for killing off battery’s power, so it’s better to check its charge religiously and inspect the terminals for possible corrosion. In relation to this, when starting a car during cold season (especially for diesel-powered vehicles), it is best to let the engine warm up a bit to be able for the battery to recharge. If the installed battery is 3 or 4 years max, replacement is in dire need. And as an assurance, keep a set of jump cable and a charging pack in your back compartment in case you need a quick jumpstart. Cosmetics-wise, your car’s number one enemy is road salt (sodium chloride + magnesium chloride), while the actual snow is just number two. This de-snowing method may be helpful in de-icing roadways, but it is also infamous for degrading your car’s paint and underbody. As a solution, make it a point to wash your vehicle regularly with soapy warm water, then dry. If you happen to own a power washer, this will be useful in flushing off salt residue and buildup underneath the car’s body/chassis. Next is to apply wax and/or winter sealant to maintain its glossy look. And during this coming winter, using your garage as an “actual” car garage will be a big help in maintaining the mint condition of your ride. As an added protection, cloak it with your trusty car cover to shield it against dust, excess water, snow and other particles that may degrade your handsome heap’s overall cosmetics. Got any other “cool” ideas on how to winterize your car? Let’s discuss by leaving a comment below! In the lane, snow is glistening… And it’s going to be more evident by the time snowflakes start to fall. Depending on your area, cold season is a great dilemma. For one thing, you have to re-organize almost the entire house just to be ready for the temperature drop. So much for building a snowman, it is a-must that you should winterize your home above all, to uphold convenience even in the midst of the gloomy and oftentimes harsh weather. Garage is basically the frontliner of your house, so it is understandable and pretty basic to winterize this part of the house first. First thing to do is to check the working condition of the garage door. That includes quick repair for minor dents, holes and seal gaps. Next is to ensure your tools are well-stored, complete with silica gel to prevent rusting. Snow salt is notorious for its power to give the worst case of rusting, so better keep your tools and garage equipment safe. In addition, lube up door hinges and brackets by applying grease or oil on it to. As for the driveway, keep a trusty shovel or ice blower in handy to blow off snow accumulation. Moreover, if pavements and concrete surface have cracks, make sure to fix it weeks before the start of the season. Lastly, clear off your roof and gutter from leaves and other debris that may and can block off snow and water buildup. Above all, keep in mind to ready your trusty vehicle cover to protect your ride from the harsh snow-and-salt as well. Homeowners tend to take this task for granted, but believe us when we say that doing this detailed task will benefit you in terms of saving money for far more extensive after-winter repairs and pest controls. Initially, keep your house a bit warmer by installing additional insulations. Next is to check the walls and ceilings for leaks. Snow can be nasty, especially when it melts away and seeps through small gaps of the house. And speaking of leaks, might as well check your pipeworks for cracks and leaks. It is during this time that most pipes –especially the metal ones – are prone and vulnerable to breakage and rusting. And while you’re at it, you might want to extend an extra effort of adding extra protection to your pipes by wrapping them up with heating tapes. Additionally, make sure to close all shafts and windows in the basement and attic to prevent insects and other animals to invade your warm space. Another vulnerable part of the house, you might say. Although, much simpler to winterize this part of the house. All it takes is to give it a nice, efficient sweeping. 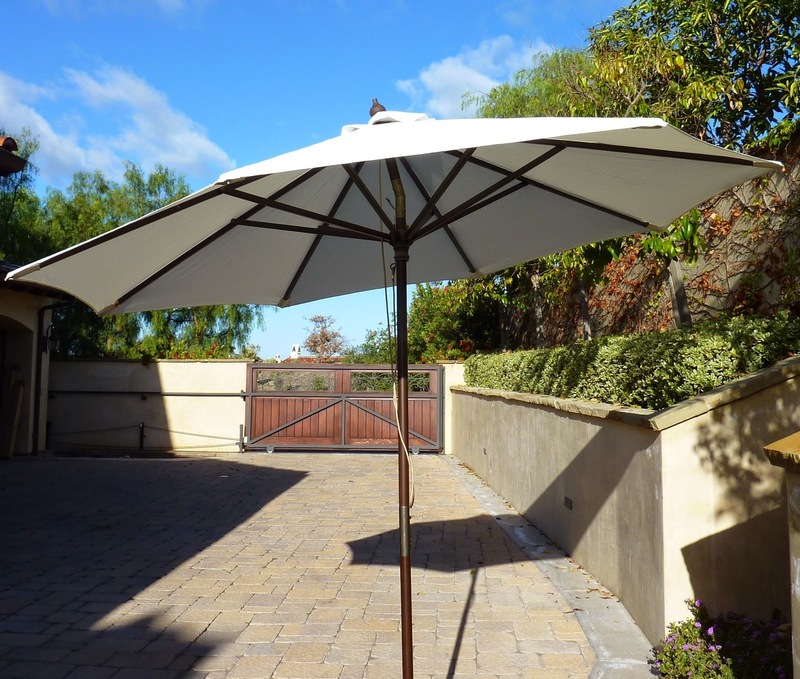 Next step is to blanket your cozy furniture and fixtures with heavy-duty furniture covers, including the patio umbrella, barbecue grill and air conditioning system. Finally, this is also the perfect time to gather wood fuel and brush off backyard debris to your fire pit, fireplace and chimney for the cold season. But before sparking a match on it, it is vital to inspect your fireplace and/or chimney for excess creosote deposits and other fire hazards that could impose accidents. It’s quite obvious you will be using this quite a lot for the next coming months, so it is recommended to go through with this preventive maintenance to avoid unwanted winter disasters. 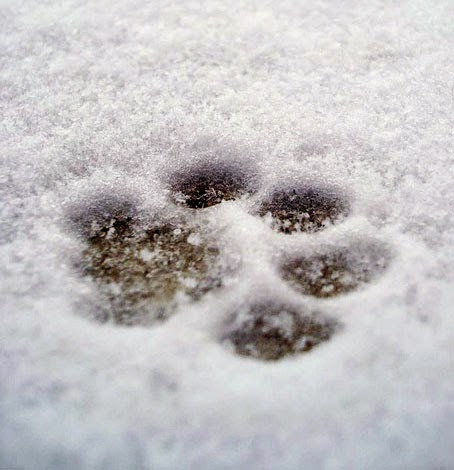 Just like us, humans, cats and dogs are also vulnerable to extreme cold, especially during winter season. And it is fair and just that you should give them a nice, warm spot to take refuge as the cool breeze lingers on. First thing to do is to prepare the necessary stuff to use in setting up a temporary shelter for your pet. This includes a pet basket furnished with a pet throw or an old quilt, toys, feeding dishes and drinking bowl. If you happen to have an outside shelter for your pet, you might also want to spruce it up in case your 4-legged companions prefer to stay outdoors for a while after a nice, short cold walk. Install proper insulation if needed. In addition, be mindful that it is still best to let your pets slack off in your humble abode for a few weeks or so – or at least until the ice melts – to keep them warm. 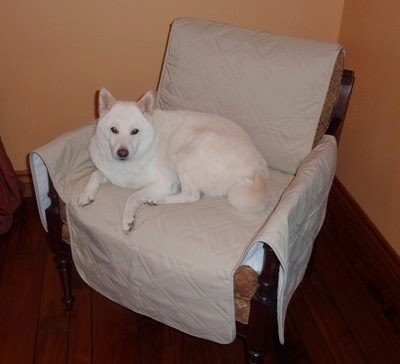 Make sure to set up the “pet lounge” in an area where warmth is adequate to keep them cozy and snug. Moreover, the garage can also be a perfect spot for your dog/cat to spend the entire winter, provided that their lounge should have a safe distance away from any vehicular or tool hazards. As for using the basement, it is suggested that before pimping your underground space, you must ensure that there’s a pet flap installed onto the door to prevent incidents of pets getting trapped downstairs. Because their own fur, and even when cloaked with their favorite pet cover, is still not enough to block off the intense cold. Besides, it seems that most pet owners nowadays are fond of dressing up their k-9s and feline friends. So, might as well put something functional on them to maintain and regulate their body temperature. Additionally, it is better for your pets to wear booties to protect their paws from snow and salt when taking a walk. Get the most out of the daytime by keeping the drapes and window curtains open, especially when there’s enough sunlight to fight off frigid winter gust. For most house pets, it is quite automatic for them to follow the sun’s path by the window, so it is also advised to set up your pet’s lounge anywhere near glassed hole. Finally, make sure to always keep an eye on your cuddly pets, as they tend to become uneasy, especially if it’s their first time to stay indoors for a stretched amount of time. Check their temperature regularly and yes, an occasional belly rub helps a lot in giving your pets comfort. Time to Tune-Up Your Snowmobile! Cold season is here! No wonder quite a number of people have been too busy caving into their own backyard parking and garages getting their winter beast all warmed up and ready for the ice build up… Err, snowmobile, that is. But hold your tauntauns for a sec! Just before taking of the snowmobile cover and kickstarting the good ol’ winter warrior, you must see to it that everything is all prepped and checked. Remember, your snow vehicle just woke up from a long hibernation so relatively, your “sled” still in the state of “atrophy”. Doing otherwise will only cause you some unexpected engine troubles that eventually lead to an avalanche of expenses. Is your snowmobile ready to hit the cold? To save yourself the hassles and embarrassments while giving you a solid snow-riding experience, here are some tips on tuning up your snowmobile for the season! Before checking up on any part of your snowmobile, it is highly advisable to rely on your user’s manual for tune up instructions and steps. This will apply greatly to those rookie riders. This is to avoid unnecessary alterations and tweaking that may cause serious damage to your snowmobile overtime. It is also fine to call a serviceman to facilitate the tune-up in case you’re not yet familiar with the parts of the sled. Ensure the oil level of the snowmobile if it’s still sitting on the right level. In addition, you may also want to inspect the viscosity and the color of the oil if it is still applicable for use. If the oil filter needs to be replaced, then please do so. Same goes with the oil pump, as these components maintains the integrity of the oil and distributes it to the engine’s most part for lubrication, respectively. And since you’ve stockpile your sled for nearly a year, it is also a-must to check and replace the gas inside the tank. Gas tends to accumulate varnish and other chemical residue that can and will block of your carburetor’s jets. Speaking of which, this also goes with maintaining your snowmobile’s carburetor. A clean tank and carburetor not only will give you a smooth ride, it will also promote the fuel efficiency of your ride. Just because it’s snowing, it doesn’t mean your snowmobile’s engine will be invulnerable to overheating. That’s why it is still advisable to add coolant to engine’s radiator. If it requires water as well, then don’t think twice about pouring some on it. Aside from checking the chain case’s oil level, you must ensure its calibration if it has the right tension, wear as well as the condition of the components that go with it. This also goes well with the track and belts. Battery, that is. As said earlier, your ride has been out for a long season of hibernation. This equates to idled battery, which can be discharged even when not in use. Especially when connected to the vehicle even when not in use. It is best to check the charge level of the battery. Spark plugs are essential for delivering electric current to produce electric current to ignite the fuel, which is responsible for producing power to your snowmobile. That’s why practically all mechanics always recommend to change spark plugs every once in a while. As for usage in snowmobiles, it is advisable to change every season of usage. Last but not the least, and probably the most important thing to inspect are the functions and condition of the brakes and lightings. Like other vehicles, these integral parts and elements should be well-maintained to ensure safety and to further prevent vehicle-related accidents. Once you’ve checked all of these, you’re now ready to mount and hit the snow! 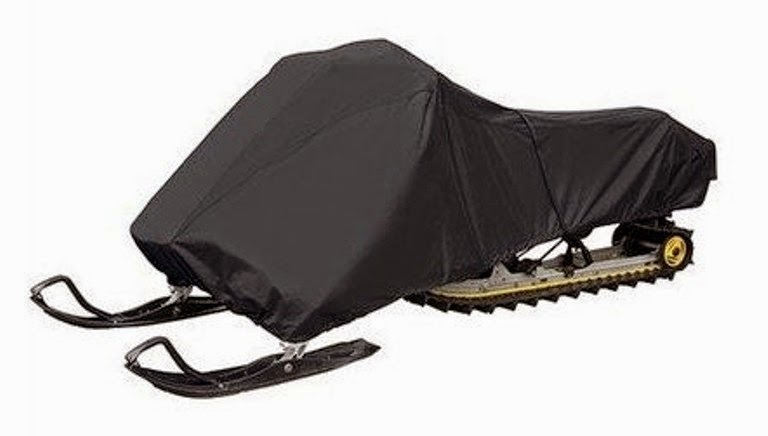 Moreover, visit Formosa Covers’ official website to check out our line of vehicle covers including for snowmobiles!